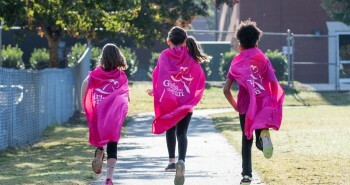 Girls on the Run is a wonderful program for girls for empowerment and inspiration. My little sister was involved with Girls on the Run and participated in the 5k runs. She needed a running buddy and I was unable to join as her buddy due to my health and physical shape. I did get to be involved with Girls on the Run race with the help of my dad by pushing me in a wheelchair for two races. I was on oxygen for two years. My sister waited for us at the finish line. I wanted to be able to just walk a 5k just to say I can do it. That’s where my story begins. I was diagnosed with a lung disease called Cystic Fibrosis when I was born. There is no cure. Growing up I was not limited to do anything but my breathing was the challenge. My parents encouraged me, (my other two siblings who has cf also, however the little sister was adopted and doesn’t have cf) to do and try whatever I wanted to do. Sometimes I could do things and others I could not. My parents never told me I couldn’t do anything. When I was little I was in ballet and played with my siblings. We never let our disease stop us from having a good time and being kids. I was also in midget football cheerleading. I played the clarinet in middle school band. I ran around with my friends. I had no problems with health that much due to being very active. Even though I was active I was still hospitalized two weeks at a time. My classmates never knew what was wrong. They always asked why I miss so much school and I always just told them that I miss a lot of school because I was sick. They didn’t ask questions. The only ones that really knew what was wrong were my really close friends. I didn’t want anyone to know because I didn’t want to be treated any different than anyone else. My parents never treated us different either. I could do anything anyone else could but if I couldn’t I took it a little slower or didn’t do it at all. In high school I played softball and was still active in the band. As I got older, I started to feel the tired but I never let it stop me from pushing my limits. I went on to a community college and got my associate degree with working two job. As time went on since I wasn’t as active anymore like I was in school my disease started taking a toll on my body. I was getting sicker and sicker. Now to fast forward a few years, four years ago I had to quit working both jobs, was hospitalized almost every month, two weeks at a time due to many lung infections. I was on oxygen and I was listed on a lung transplant waiting list for two years. I could barely do anything. Everyday activities were a struggle. That’s when my dad pushed me through the 5K races in my wheelchair. I hoped eventually I was going to be able to walk a 5K even if I came in last place. I just wanted say that I was able to complete just one. Even if I came in last place that would an accomplishment because I still finished and never gave up. On February 14, 2016 I had received a double lung transplant. I spent three weeks in the hospital, after that I was released to the family house. I walked many times a day and did physical exercise. When I came home after 2 1⁄2 months I did physical therapy and to this day I have not stopped exercising and walking. Today I have coached two seasons of Girls on the Run, and participated in the 5k races and completed them. I am pleased to help inspire the girls and help them grow. Teach them that no matter the obstacle you overcome and be the best they can be. They have to try and never give up. I plan on coaching to continue to inspire the girls and also they inspire me and give me strength. I enjoy Girls on the Run program. 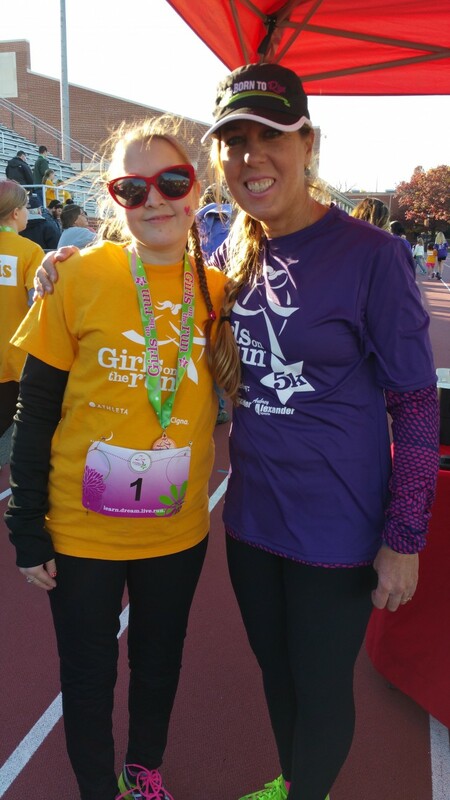 Girls on the Run International and Say It Forward are committed to the empowerment of girls everywhere. 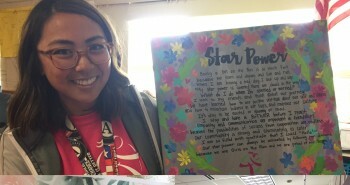 We believe that every girl has an important story to share – a story of determination and perseverance, a story that can inspire others to overcome the self-limiting beliefs that keep them from reaching their fullest potential. We are also committed to empowering the women who invest their time and energy in these girls. 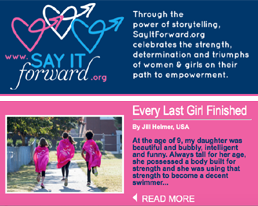 We invite you to share your story at Say It Forward and to keep in touch with us via Twitter and Facebook — Girls on the Run International Facebook and Twitter. All stories written by girls are shared with the permission of a parent or guardian. Girls’ first names only are posted with their stories.